3. A collaboration between Detroit native deep house producers Omar-S and Shadow Ray. 5. A Brazilian power electronics duo 1. Oasis were an English rock band that formed in Manchester in 1991. 1. Oasis were an English rock band that formed in Manchester in 1991. Originally known as The Rain, the group was formed by Liam Gallagher (vocals and tambourine), Paul Arthurs (guitar), Paul McGuigan (bass guitar) and Tony McCarroll (drums, percussion), who were soon joined by Liam's older brother Noel Gallagher (lead guitar and vocals). Its members were signed to independent record label Creation Records and released their record-setting debut album Definitely Maybe in 1994, including hits like Live Forever and Supersonic. The following year, the band recorded the critically acclaimed (What's the Story) Morning Glory? with their new drummer Alan White that led to international success propelled by singles Wonderwall, Don't Look Back In Anger and Champagne Supernova. In 1997, Oasis released third album and became the fastest-selling album in UK chart history, aside Michael Jackson's Bad. McGuigan and Arthurs left the band as they went on to record and release Standing on the Shoulder of Giants and were replaced by Gem Archer and Andy Bell who joined the group for the recording of Heathen Chemistry. In August 2009, Noel Gallagher announced his departure from the band. Liam Gallagher initially stated that Oasis were "done", but later in February 2010 announced that the remaining members of the band would continue to record music, and did not rule out the possibility of retaining the Oasis name. However, Liam and other former members of the band are instead continuing under the name Beady Eye and Noel has formed Noel Gallagher's High Flying Birds. 2. American rock band: Oasis was an American rock band from Marin County, California active in the 1970s. Their sound has been described as psychedelic folk rock, progressive folk and psychedelic pop, characterized by male/female harmonies. With the help of David Crosby of famed Crosby, Stills & Nash, they recorded one album, Oasis, released on the Cranbus label in 1973. Members Shelly Fox was previously in Cookin Mama, and Stephen Barncard also worked with Chet Nichols and David Crosby. Kelly Bryan had earlier been in the short-lived Grootna, and later played on a couple of albums by Jesse Colin Young. Between 1971 and 1978 members of Oasis also recorded under the name RJ Fox and completed an album for Atlantic in 1971 which was never released. A double disc collection of Oasis and RJ Fox material was compiled by the Black Bamboo label in 1998. RJ Fox: Retrospective Dreams included the lost LP, tracks from the Oasis album and many others. 3. American deep house producers: Oasis is a collaboration between Omar-S (Alex O. Smith) and Shadow Ray from Detroit. 4. British classical group: Oasis was a short-lived English classic group active through 1984-1988 featuring Peter Skellern, Julian Lloyd Webber (later replaced by Audrey Riley), Mitch Dalton, Bill Lovelady and Mary Hopkin. 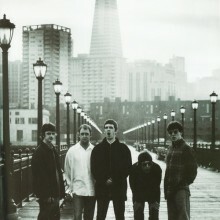 Oasis released only self-titled album and two singles and toured till 1988. Darling fans if you are reading this, you are on on the page of the singer oasis in our eLyricsWorld. Our database comprises with information about 52389 artists worldwide also 829824 songs 270 of which are from oasis. Except for the the biography of the singer, on this page you can see short piece of information about them, which includes birthdate, style, label company Be informed all the news around oasis by adding RSS feed. If you prefer you could directly visit the address you are on currently and look through what's new and latest songs about the artist.